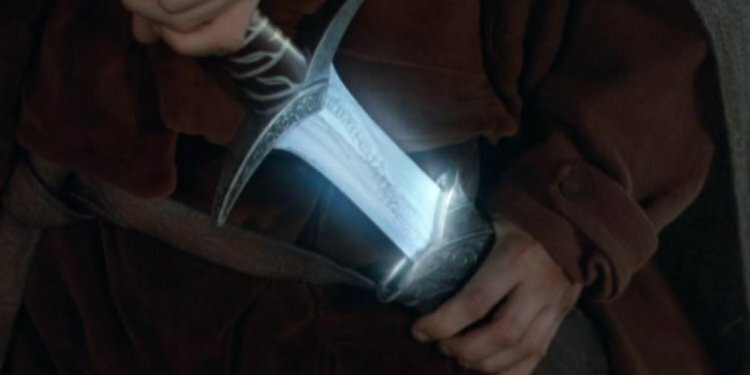 Sting is an Elven dagger owned by Bilbo Baggins in The Hobbit and by Frodo Baggins in The Lord of the Rings. Just like all other Elven blades, it glows blue when Orcs are near. Sting is currently only obtainable in creative mode or by using cheats but, in future versions of the mod, it will be obtainable via quests. This Elven dagger, short but long enough to be used as a sword by a Hobbit, was made in the city of Gondolin during the First Age. It was wielded by Bilbo Baggins in The Hobbit after he found it in a troll hoard, and with it he killed his first enemy, a Mirkwood Spider. From this feat stems the name Bilbo gave to it: Sting. After Bilbo's departure from the Shire and his return to Rivendell in The Fellowship of the Ring, he gave it to Frodo Baggins along with his mithril shirt. At the end of The Two Towers and throughout The Return of the King, it was wielded by Frodo's gardener and friend, Samwise Gamgee, who used it to stab Shelob and, in doing so, saving his master's life.